the road just outside my place is known for having trucking containers drive by as it is just about a three minute walk from a turn out from the highway to head to the harbour and docking bays. even mommy, who is the renowned squid of the family, can tell that there are fewer of them honking their way down during the peak hours with the economic recession. looking on the "brighter" side of it, it technically means less air and noise pollution. when the rains pour and the winds blow their hearts out in a thunderstorm, the roads become dangerously trecherous to drive on and become slippery slides. just the other day when the skies decided to be a rain the zoo day, a truck with a container load full skidded, overturned, and went crashing, just about nine steps away from me since just happened to walk out from the entrance of my place where the guardhouse was, into the old tree just outside my place. there me was, standing, neither shocked nor surprised, a happening so very near, yet so far. the only thought that went through my mind, was wondering why it did not went off a couple more inches. that way, the truck would have missed the tree altogether and get to hitting the actual target it was meant for. shards of glass scattered across the gravel, with mud patches drudged up and specks of rock and sand splattered all around, my feet took a life of its own and walked on mindlessly as if nothing had happened, with glass bits crunching below my feet in its meaningless automated motion. if had been waiting for a cab just that much earlier, the truck hit would have been me since a favourite cabbie wait point was actually in front of that tree. 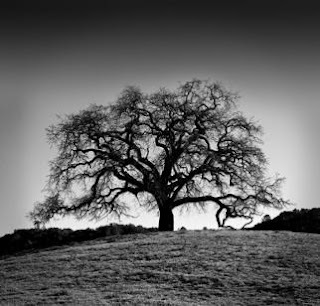 that big old tree now bears the scars of the heavy blow, and whenever looking at it, the three words "what a miss" always permeate with a resounding tone of melancholic morbidity in my mind. Just glad that you are fine. Thank whoever is up there.